Your dollars can stretch further: Innovation companies that fund overseas operating expenses or procurement directly from the U.S. may benefit from recent depreciation in foreign currencies. Forward contracts can offer dual benefits: You can lock in gains from recent depreciation, and for high interest rate currencies, can get an additional discount from favorable forward rates. The U.S. dollar (USD) is strong across the board in 2018, fueled by a cocktail of relatively high interest rates, a hawkish Fed and a strong economy.1 Compared with emerging market (EM) currencies, the USD is particularly strong. Why are EM currencies so weak? Rising interest rates in the U.S. are an Achilles heel to EM countries that rely on external capital to run their economies. Debt loads for businesses and governments become more expensive to service and repay, causing a drag on growth and expansion prospects. In response to deteriorating fundamentals, global investors pull money out of EM countries, resulting in weaker currencies from asset sales. Which EM currencies are most vulnerable? A country’s central bank is generally tasked with the responsibility of building up a reserve portfolio2 for purposes of defending its currency when capital starts to flow out of the country. The larger the reserves war chest, the less vulnerable a currency is to excessive depreciation. The chart to the right illustrates each country’s FX reserves position, measured as a ratio of the country’s external financing needs. A reading of 100 means there is one unit of FX reserves for every unit of external financing need. The higher the ratio, the better prepared a country may be to defend its currency in times of financial distress. Countries in red are in a “danger zone”, according to the Institute of International Finance.3 In other words, the reserve portfolio is small relative to the dependence on external financing. Countries with reserves below 200 may not be adequately prepared for a bout of capital flight. Which EM currencies have been hit the hardest? Suppose an innovation sector company funds its operating expenses in India directly from the United States. In other words, the costs are denominated in Indian rupees (INR). Since this company does not generate revenues in India, the costs must be funded with USD from the parent entity. This asset-liability mismatch is the source of the currency exposure. Back in January 2018, the projected rupee spend was the equivalent of $10.0M USD. Following the -7.2 percent depreciation this year, the cost to procure the same amount of rupees on the spot market dropped to $9.28M by July 2018. Forward contracts can be used to lock in this benefit from currency depreciation. In addition, the corporation would receive an additional boost from the forward rate discount such that the USD’s required for a 1-year maturity is only $8.9M. Thus, with the 2018 year-to-date (YTD) depreciation (7.2%) and the forward rate discount (4.2%), the total benefit is more than 11.1 percent or $1.11M on $10M of budgeted spend. The next section carries out this analysis for a subset of impacted currencies. The table provides a current snapshot of the savings attained from the forward hedging strategy for a subset of EM currencies. Column 1 reflects the currency depreciation between January and July 2018. Column 2 reflects the forward rate discount. The total savings from the forward hedging strategy is reflected in Column 3, the compounded sum of both columns. For instance, assuming the annual spend for Brazil was budgeted on January 1, 2018, a corporation would be able to lock in a 17.7 percent savings in July of the same year. The total savings includes the currency depreciation, plus the beneficial forward rate attained for a 1-year maturity. Although currency volatility can represent significant risk, it can also offer significant opportunity depending on your currency needs and ability to capitalize on the opportunity, using a hedging strategy such as forwards. No strategy is right for every situation. If you’d like to discuss your specific situation to see if forwards may be right for you, contact your SVB FX Advisor directly, or Ivan Asensio, FX Risk Advisory, at iasensio@svb.com. 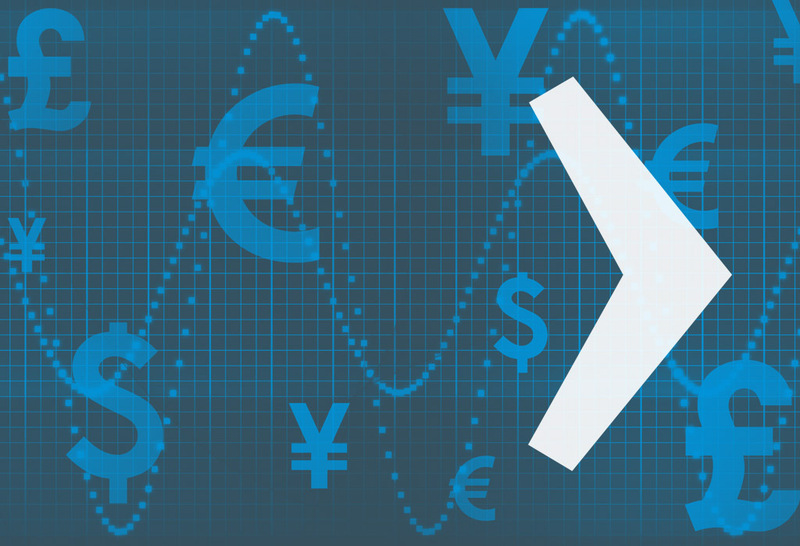 Read Nate Wyne’s article How to Manage Foreign Currency Risk as You Expand Across Borders. SVB Market Advisory article, Five Themes that Matter to FX Markets, by Scott Petruska. A reserve portfolio is money or equivalent liquid assets *denominated in a currency other than its own* held by a central bank or other monetary authority for purposes of being able to pay its liabilities on demand or intervene in foreign exchange markets to regulate supply and demand dynamics. Institute of International Finance, 2018. Source of currency data: Bloomberg 2018. FX forward rates are an expression of the difference in interbank interest rates between countries. This is known as covered interest parity.